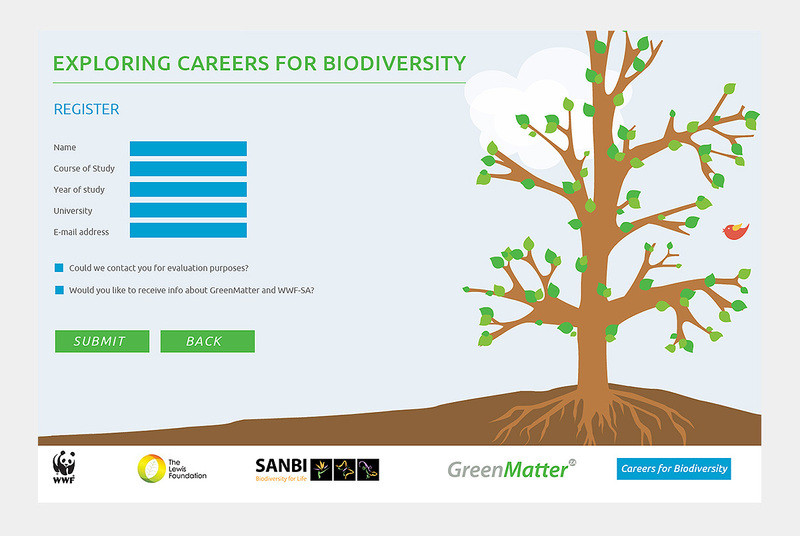 We were approached to develop a dynamic online tool, which led the user through a series of interactive questions on differing graphic designs. 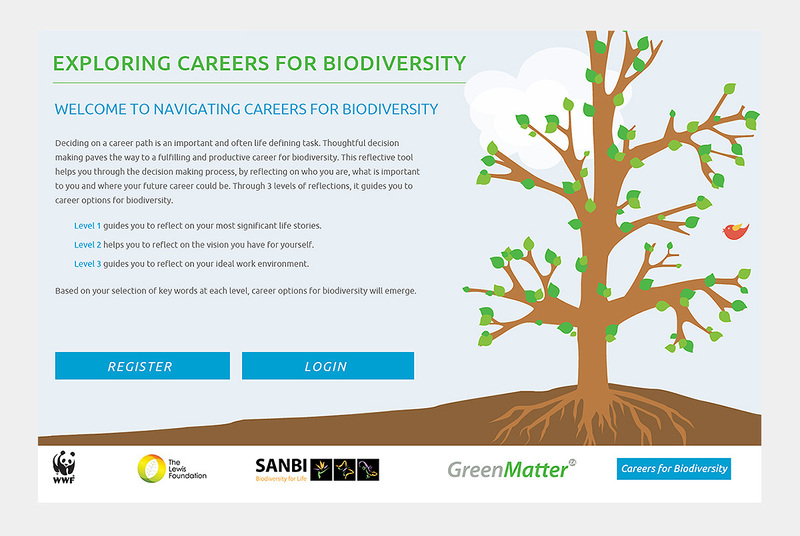 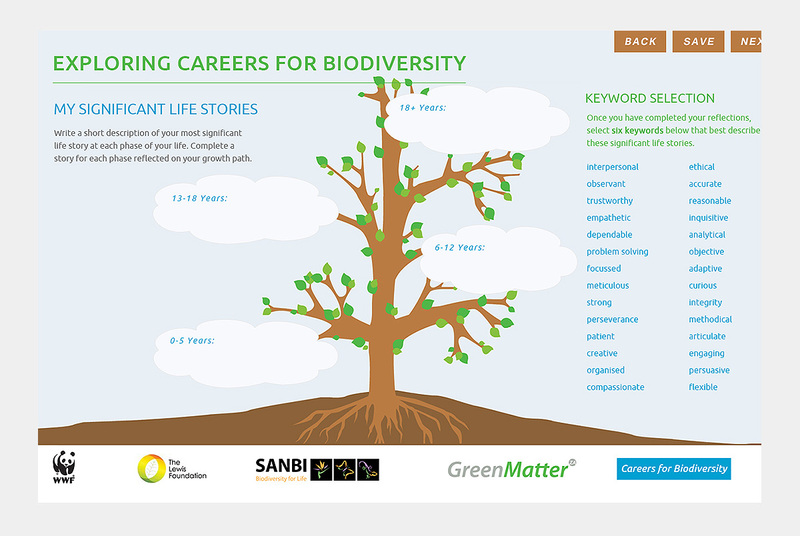 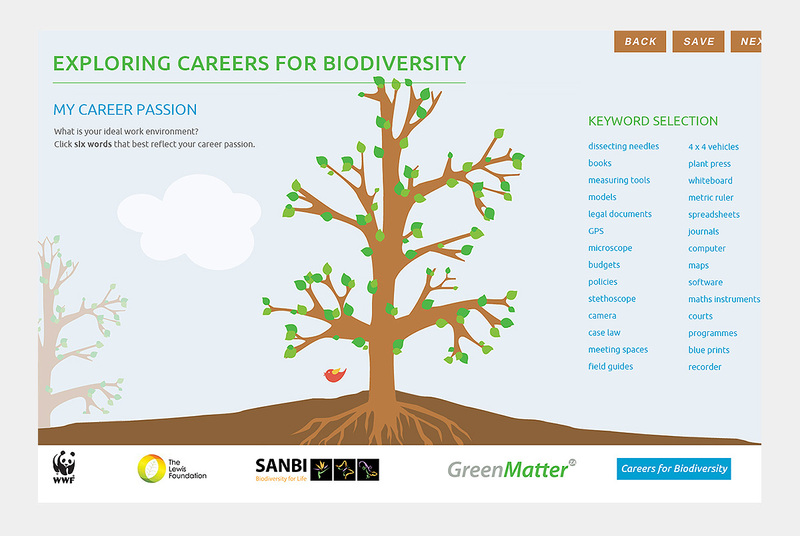 The questions were linked to an algorithm which provided the user with possible career field options that was available to them within the Biodiversity field. 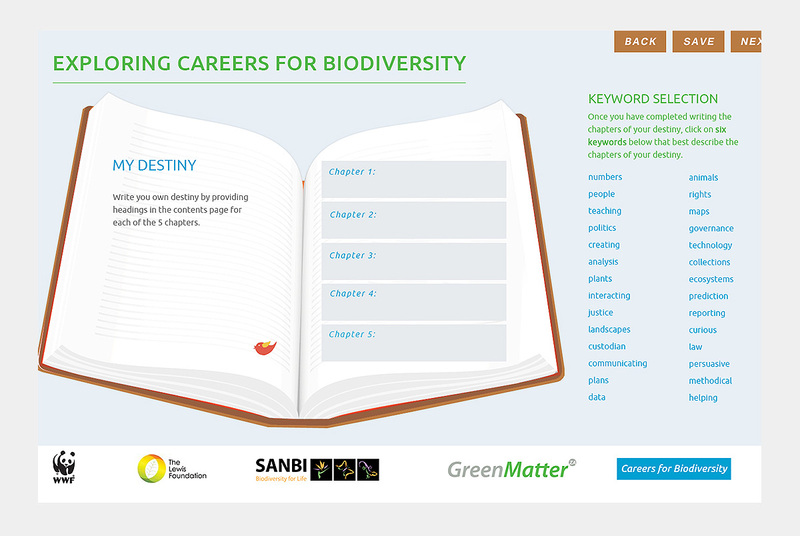 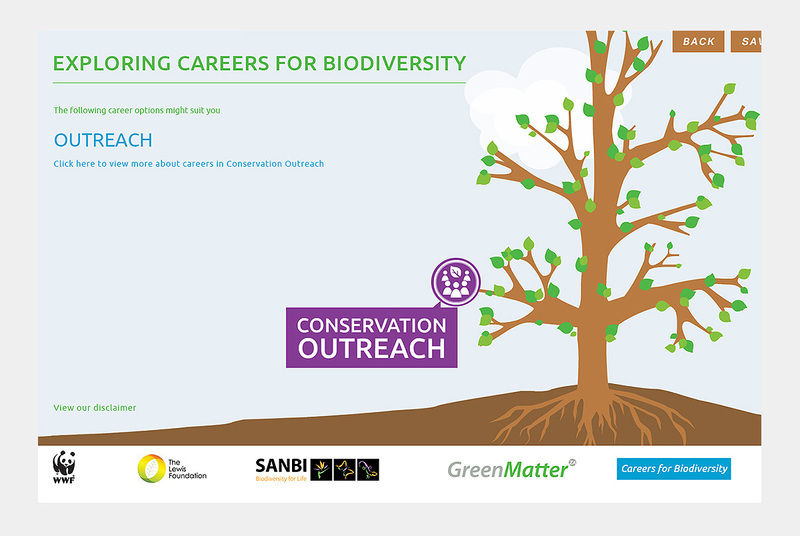 This was used in during a national campus tour to promote jobs in Biodiversity.